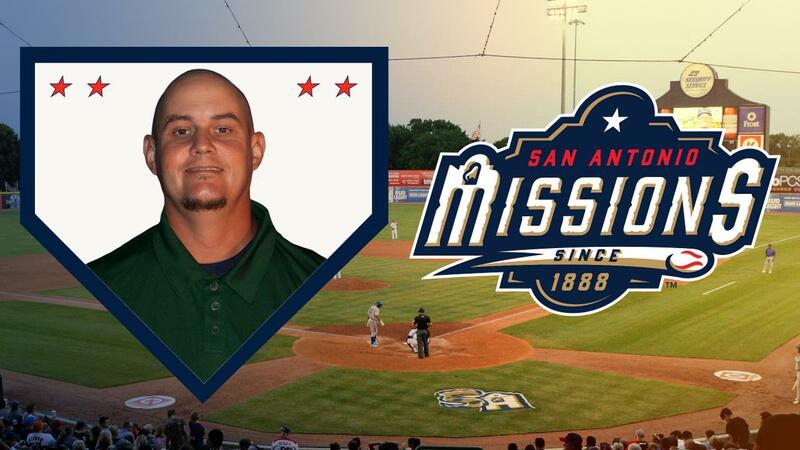 San Antonio - The San Antonio Missions announced today that Travis Joslin will be the organization's new Head Groundskeeper. "We are excited to have Travis continue with us on our staff in this new role," said Missions General Manager David Gasaway. "The groundskeeper plays an integral role in our organization and we feel with his vast experience in both the sports and commercial landscape industries make Travis well-suited for the job." Joslin joined the Missions in February 2017 as the Assistant Field Superintendent. He is responsible for maintaining and managing the playing surface at Nelson Wolff Stadium. Field maintenance includes the outfield turf, infield turf and dirt, and the warning track. "I am very excited for the opportunity to take over as Head Groundskeeper at this exciting time in Missions history," Joslin said. "I look forward to being the first Triple-A Missions Head Groundskeeper and to continue to make Nelson Wolff Stadium a beautiful place to watch baseball." The Minneapolis, Minnesota native has prior experience working in grounds keeping both in and out of sports. Joslin has served as the Head Groundskeeper of a beach resort, managed a landscaping contracting firm, and has worked on the grounds keeping staffs for the University of Florida, the Salt Lake Bees, and the University of Texas - San Antonio. He earned his degree in Plant Science: Landscape and Nursery Horticulture with a minor in Turf Management from the University of Florida.